Pendragon Country House, near Camelford, is converting a neighbouring 18th century vicarage into three self-catering cottages, which will all be heated by the hotel’s boimass boiler provided and installed by Wendron Biomass. The hotel, which was ranked in the top 3% of ‘green’ B&Bs in the UK by the Green Tourism Business Scheme, was previously reliant on LPG gas but is now heated entirely by biomass. The owners, Nigel and Sharon Reed, invested in the properties, which were previously owned by a neighbouring business, after experiencing significant savings following the installation last winter. 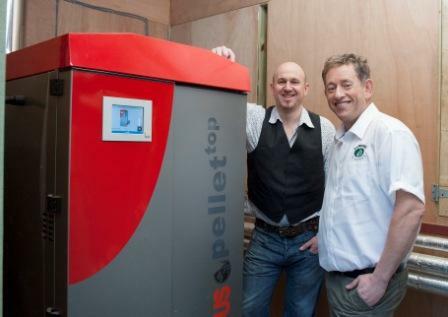 As well as saving on heating bills, the owners are also receiving payments through the Renewable Heat Incentive (RHI). Through this Government scheme, the business will receive a fixed amount per kilo watt hour of energy produced over the next 20 years.